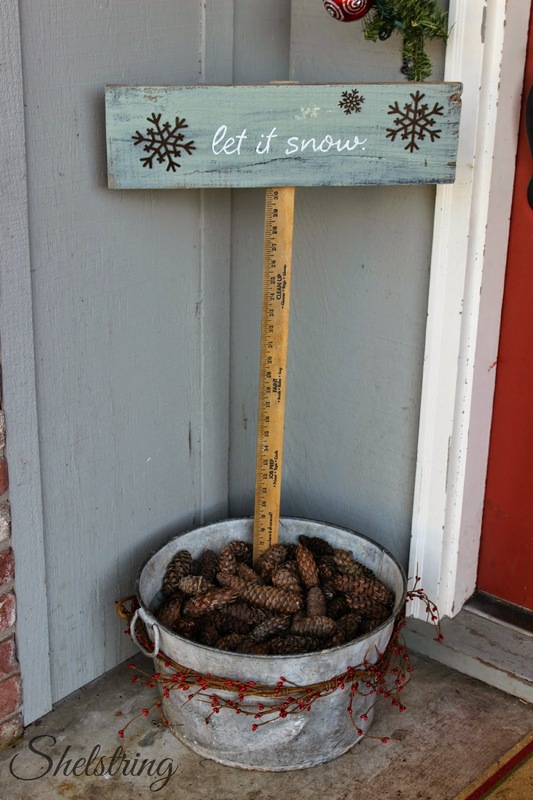 When I was thinking about how I wanted to decorate my house for Christmas this year, I started thinking about the way our home feels at Christmas time. It's always cozy, warm and the joy and excitement of the children is contagious. 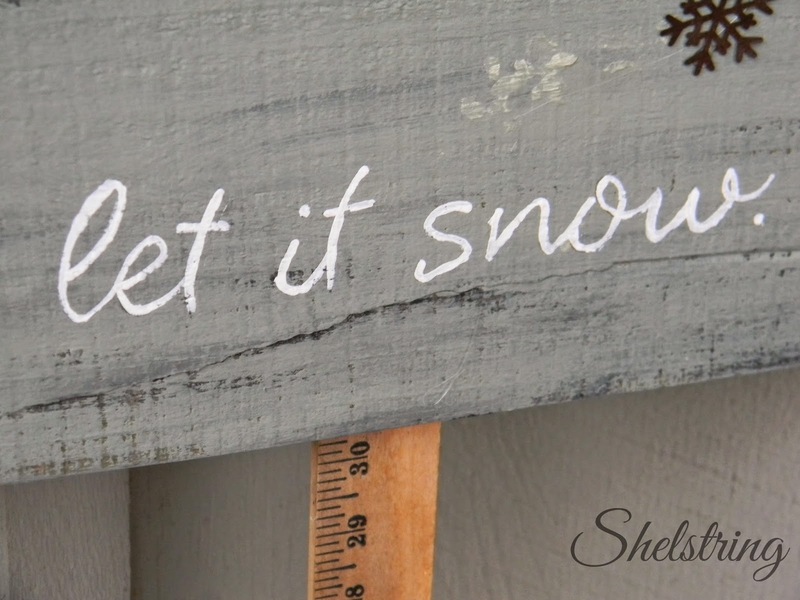 There was a Christmas song that kept ringing through my mind...."Let it snow, let it snow, let it snow". My mind started going wild with ideas. I copied the words with a carbon transfer in a simple font then painted over it in white paint. 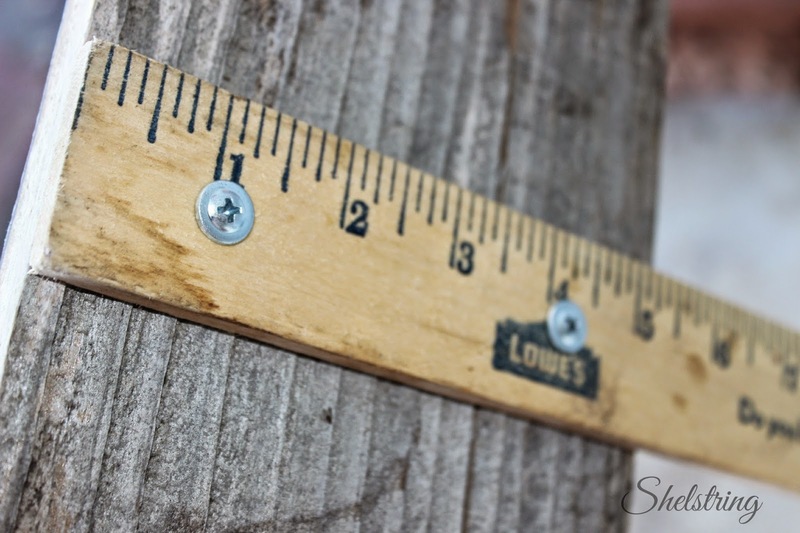 I remembered this yard stick that somehow got taken outside and stayed there weathering all summer and fall. I finally brought it in to dry out and disassembled a political advertisement sign we had stashed in our garage so I could use the screws. Sorry candidate, if it helps, we did vote for you. I found leftover metal snowflakes from a garland I made last year that I got at our local craft store. I thought they would make a nice addition, so I hot glued them on. 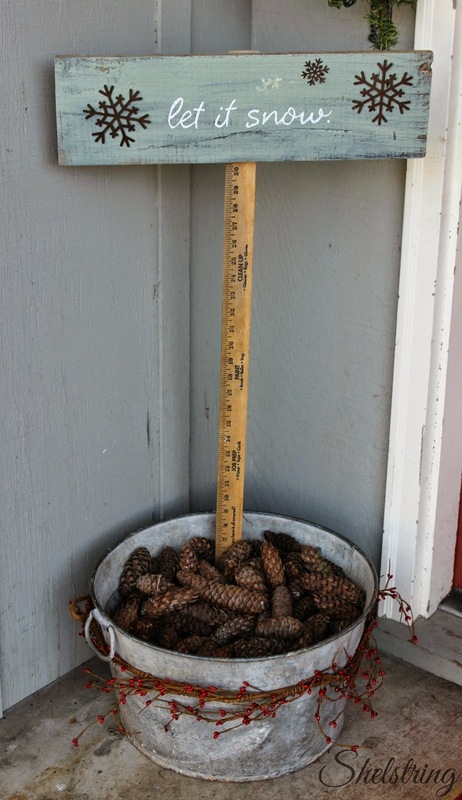 There was the perfect place on our front stoop, so I stuck it in a galvanized tub with pine cones my daughter and I collected in the front yard. 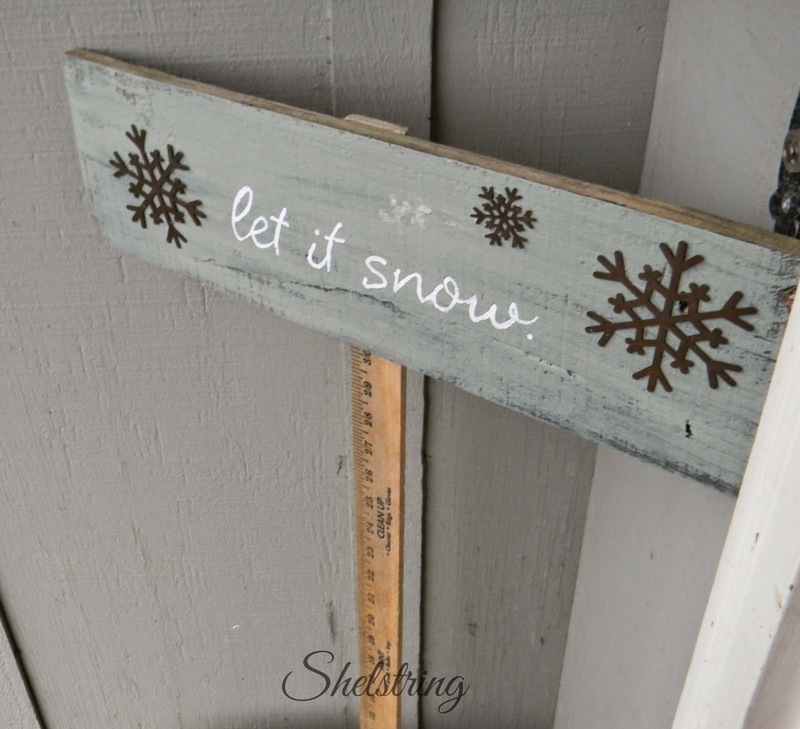 Then when it snows, we can press it into the ground to see how many inches there is. 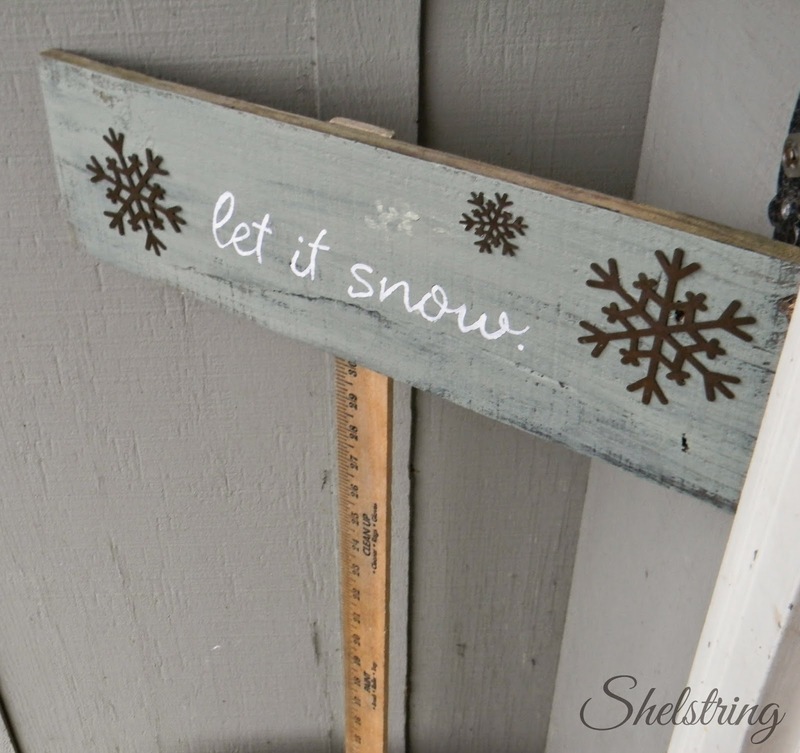 What a simple, yet fun project!